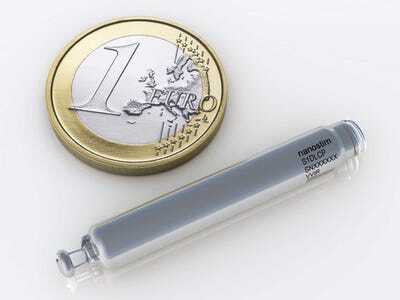 St. Jude MedicalThe Nanostim has already been approved for use in Europe. Doctors implanted the world’s first pacemaker, a sort of back-up generator for the heart, in 1958. Since then, doctors have continued using the devices, connected electrically to the heart via a complex system of tiny wires. Unfortunately, those wires can break or get dislodged in the body. If the insulation sheathing them from the body cracks, it leads to a nasty infection. Enter the pacemaker of the future: A wireless, coin-sized gadget that doesn’t require surgery and can be implanted directly inside the heart in about 28 minutes. 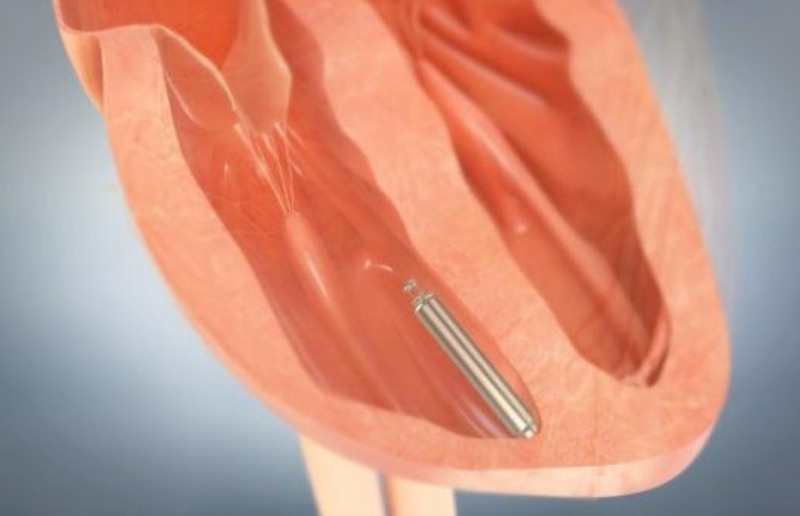 While the new pacemaker still needs to be tested in large numbers of patients, if you’re one of the few people across the country who’s currently trying it out, the device is less futuristic than realistic. Marlene Artale was the first patient in Ohio to have the gadget placed inside her heart. On Feb. 14, doctors at the Cleveland Clinic used a catheter inserted in her leg vein to steer the device deep into her right ventricle. The gadget, called Nanostim and owned by St. Jude Medical, is powered by a lithium battery that’s designed to last 8-10 years at minimum (about the same as a traditional pacemaker) and 19 at most. If it needs replacing, doctors can remove it the same way they inserted it (via a catheter) and put in a new one — though there are still questions about how challenging that process will be after the device has been implanted for many years. Before receiving the new device, Artale experienced debilitating fainting spells twice a week. She had a common irregularity called atrial fibrillation that was being worsened by an already irregular heartbeat that resulted from tachy-brady syndrome. As a result, Artale’s heartbeat would repeatedly climb to a rapid crescendo and then gradually slow down again. Sometimes, her heart would stop beating completely, her doctor told the Cleveland Clinic. These periods worried her the most. The new pacemaker helps Artale by monitoring her heart rate using a tiny electrode. If Artale’s heart is beating too slowly, it uses its generator to nudge it into action via a gentle electric shock. St. Jude MedicalThe new pacemaker is placed in the heart’s lower right chamber. St. Jude is now going full speed ahead with a study to try to prove just that. If all goes well in the US trial, the FDA could approve the device as early as next year. Medtronic and Boston Scientific are working on similar devices, but the Nanostim is the furthest along.